So what is this creature? Some new video-game creation? 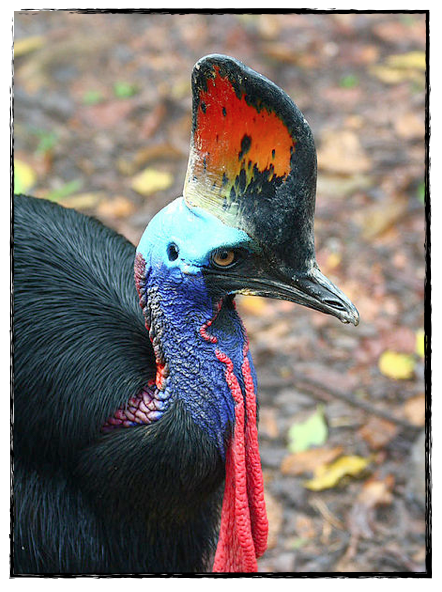 No...it's the cassowary, from Australia and New Guinea. See the "casque" on top of its head? That's said to be made of a styrofoam-type material covered by a hard latex-type material. Strange bird but strangely beautiful! And deadly. These birds have killed humans and eviscerated dogs. Soldiers in WWII were warned about, but still injured by, them. 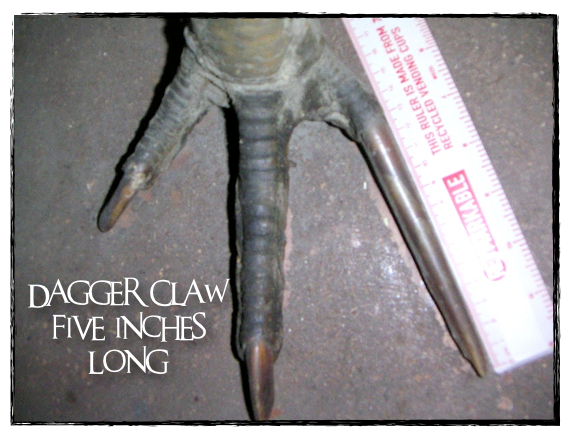 Even zoo-keepers have been seriously injured by those murderous dagger claws. 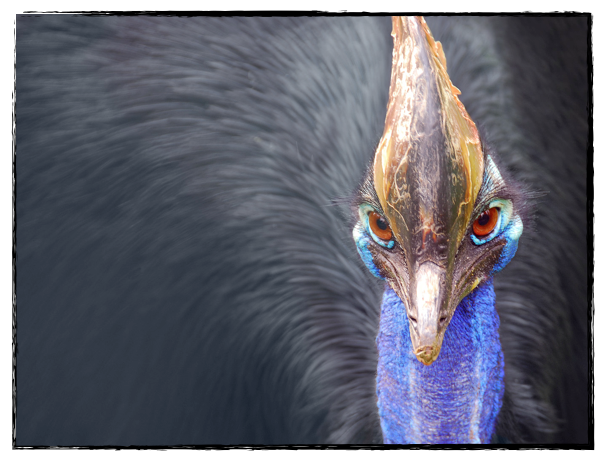 Why are cassowaries angry birds? They are very territorial...so don't cross their boundaries. That is, if you can possible know where their boundaries are. 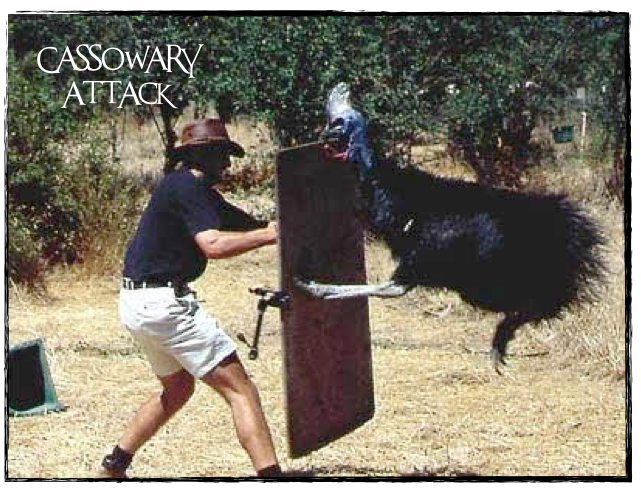 Want to see a cassowary attack? Not too scary to watch, but it would be scary to be in it. Not the best place to vacation. You're probably right...though I've always wanted to see Australia. The animals are amazing!